Pubblichiamo alcuni punti fondamentali della dottrina della Chiesa, ricordati opportunamente da un Sacerdote cattolico “vero” di lingua inglese ai lettori anglofoni. Il nostro blog ha più volte insistito su questi punti, studiando nei dettagli il contenuto della Costituzione Apostolica Officiorum ac munerum, di S. S. Papa Leone XII (v.), ribadito nella notissima enciclica “Pascendi” di S. S. San Pio X, anche questa approfondita in diversi post dello stesso blog. Ci sembra assolutamente necessario riportarne i contenuti in lingua inglese, con la relativa traduzione italiana, per ricordare a noi stessi ed a tutti i Cattolici del “piccolo gregge”, che non è consigliabile in ogni caso leggere articoli, libri, post ed editoriali giornalistici anche su internet, nonché pretese rivelazioni private senza l’autorizzazione dell’Ordinario del luogo, o di un suo Vicario incaricato. Si incorre nelle terribili scomuniche “ipso facto” contenute nella Costituzione Apostolica di Leone XIII [non a caso l’antipapa pederasta Montini, abrogò questa norma che avrebbe colpito lui stesso per primo …], scomuniche Latae sententiae riservate in modo speciale alla Sede Apostolica. Tutti coloro che scrivono, pubblicano o leggono scritti non autorizzati con nihil obstat ed imprimatur, sappiano che sono automaticamente scomunicati e fuori dalla Chiesa Cattolica, quindi fuori dall’Arca di salvezza. Siate quindi molto attenti e scrupolosi in merito: “… ciò che Pietro ha legato in terra, è legato pure in cielo”, e ricordate che nessun Papa o Concilio [… figuriamoci poi un antipapa o un conciliabolo massonico!!] può abrogare le decisioni di un Papa precedente o le disposizioni di un Concilio presieduto validamente da un Sommo Pontefice, come da diritto canonico e divino. The books of apostates, heretics, schismatics, and all writers whatsoever, defending heresy or schism, or in any way attacking the foundations of religion, are altogether prohibited. It is forbidden to publish, read, or keep books in which sorcery, divination, magic, the evocation of spirits, and other superstitions of this kind are taught or commended. Books or other writings which narrate new apparitions, revelations, visions, prophecies, miracles, or which introduce new devotions, even under the pretext of being private ones, if published without the legitimate permission of ecclesiastical superiors, are prohibited. It is forbidden to all to give publicity in any way to apocryphal indulgences, and such as have been proscribed or revoked by the Apostolic See. Those which have already been published must be withdrawn from the hands of the faithful. No books of indulgences, or compendiums, pamphlets, leaflets, etc., containing grants of indulgences, maybe published without permission of competent authority. No litanies – except the ancient and common litanies contained in the breviaries, missals, pontificals, and rituals, as well as the Litany of Loreto, and the Litany of the Most Holy Name of Jesus already approved by the Holy See – may be published without the examination and approbation of the ordinary. No one, without license of legitimate authority, may publish books or pamphlets of prayers, devotions, or of religious, moral, ascetic, or mystic doctrine and instruction, or others of like nature, even though apparently conducive to the fostering of piety among Christian people; otherwise they are to be considered as prohibited. Newspapers and periodicals which designedly attack religion or morality are to be held as prohibited not only by the natural but also by the ecclesiastical law. Ordinaries shall take care, whenever it be necessary, that the faithful shall be warned against the danger and injury of reading of this kind. Those only shall be allowed to read and keep books prohibited, either by special decrees or by these General Decrees, who shall have obtained the necessary permission, either from the Apostolic See or from its delegates. Those who have obtained apostolic faculties to read and keep prohibited books may not on this account read and keep any books whatsoever or periodicals condemned by the local ordinaries, unless in the apostolic indult express permission be given to read and keep books by whomsoever prohibited. And those who have obtained permission to read prohibited books must remember that they are bound by grave precept to keep books of this kind in such a manner that they may not fall into the hands of others. It is expedient, in denouncing bad books, that not only the title of the book be expressed, but also, as far as possible, the reasons be explained why the book is considered worthy of censure. Those to whom the denunciation is made will remember that it is their duty to keep secret the names of the denouncers. All the faithful are bound to submit to preliminary ecclesiastical censorship at least those books which treat of Holy Scripture, sacred theology, ecclesiastical history, canon law, natural theology, ethics, and other religious or moral subjects of this character; and in general all writings specially concerned with religion and morality. The censors should be taken from both the secular and religious clergy, and should be men of mature age, of tried learning and prudence, who will take the golden mean in approving or rejecting doctrines. The censor must give his opinion in writing; if it is favorable the Ordinary may allow the manuscript to be published; the imprimatur of the bishop is preceded by the opinion of the censor over his signature. Only in extraordinary cases and rare circumstances may, according to the bishop’s judgment, the name of the censor be omitted. The permission of the Ordinary by which he grants faculty to publish a manuscript shall be given in writing, and shall be printed either at the beginning or the end of a book, magazine, or on pictures, with his name and the date and place of the concession. Censorship and Prohibition of Books. 1227. The Church has the right to rule that Catholics shall not publish any books unless they have first been subjected to the approval of the Church and to forbid for a good reason the faithful to read certain books, no matter by whom they are published. 3. sacred images reproduced in any manner, either with or without prayers. The permission to publish books and images spoken of in this Canon may be given either by the proper Ordinary of the author, or by the Ordinary of the place where they are published, or by the Ordinary of the place where they are printed; if, however, any one of the Ordinaries who has a right to give approval refuses it, the author cannot ask it of another unless he informs him of the refusal of the Ordinary first requested. 1229. The secular clergy are forbidden without the consent of their bishop, the religious without the permission of the major superior and the bishop, to publish any book on secular topics, or to be a contributor to, or editor, of daily papers, periodicals, booklets, etc. 1235. When a work is approved in its original text, the approval does not extend to translations into other languages nor to other editions; wherefore both the translation and the new edition of a work already approved needs a new approval. 1236. In every episcopal Curia there should be official censors, who shall examine the works to be published. 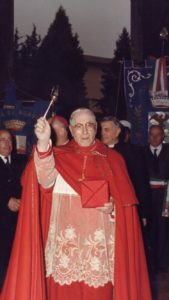 The examiners should be free from all human respect in the exercise of their office, and shall have before their eyes only the dogmas of the Church and the universal Catholic teaching contained in the decrees of the General Councils, in the constitutions and orders of the Holy See, and in the consent of approved doctors. 1237. The permission of the Ordinary by which he grants faculty to publish a manuscript shall be given in writing, and shall be printed either at the beginning or the end of a book, magazine, or on pictures, with his name and the date and place of the concession. 1238. The right and duty to prohibit books for a good reason rests with the Supreme Pontiff for the whole Church, with the particular councils for their territory, with the individual Ordinary for his diocese. From the prohibition of inferior authorities recourse may be had to the Holy See, not however, in suspensive, which means that the prohibition must be obeyed until Rome has rescinded the orders of the inferior authority. 1240. It is the duty of all the faithful, and especially of the clergy, of ecclesiastical dignitaries, and of men of extraordinary learning, to refer books which they think pernicious to the Ordinary or to the Holy See. This duty pertains by special title to the legates of the Holy See, to the local Ordinaries, and to rectors of Catholic Universities. It is expedient in the denunciation of a book to not only indicate the title of the book, but also, as far as possible, the reasons why a book is thought to deserve condemnation. Those to whom the book is denounced are by sacred duty bound to keep secret the names of those who denounce it. The local Ordinaries must, either in person or, if necessary, through other capable priests, watch over the books which are published or sold in their territory. 1241. The prohibition of books has this effect that the forbidden books may not without permission be published, read, retained, sold, nor translated into another language, nor made known to others in any way. 1245. Ordinaries can give permission to their subjects for the reading of books forbidden by the general law of the Code, as well as by decree of the Holy See, for individual books and in individual and urgent cases only. 1246. Persons who have obtained from the Holy See the faculty of reading and keeping forbidden books cannot for that reason read and keep books forbidden by their Ordinaries, unless the Apostolic indult explicitly gives them the faculty to read and keep books forbidden by any authority. 1248. By the permission to read forbidden books no one is exempted from the prohibition of the natural law not to read books which are to the reader a proximate occasion of sin. By Rev. STANISLAUS WOYWOD, O.F.M. With a Preface by Right Rev. Mgr. PHILIP BERNARDINI, J.U.D. Nihil Obstat: FR. BENEDICT BOEING, O.F.M., FR. BENEVENUTUS RYAN, O.F.M. The violation of the Censorship of Books. 399. – III. The violation of these laws is usually a grave sin. In less important matters there is only a venial sin, more so in case permission alone is required than when the work must also be submitted to ecclesiastical censorship. The violation of the Prohibition of Books. 403. – IV. The violation of the laws on the prohibition of books is in itself a grave sin; but in matters of lesser moment there is only a venial sin. Reading forbidden literature is gravely sinful if the amount read would constitute a great danger for many people, even though it be harmless to the one reading. Therefore, according to the contents, one may read a greater or lesser portion of such literature without commiting a grievous sin. If the book is very obscene even half a page may be sufficient to constitute a mortal sin, whereas, if the book is not very dangerous, even the reading of thirty pages may not be gravely sinful. If a book is in itself harmless and is forbidden merely because it relates new revelations, etc., but is published without ecclesiastical permission, a person might commit only a venial sin by reading the entire volume. It is gravely sinful to read habitually forbidden newspapers and magazines, and even to read such literature a single time if one reads a considerable amount thereof (either in contenet or in quantity) directed against faith or morals. To retain forbidden books is a mortal sin if one keeps them for more than a month. – It is not sinful to keep a book for a short time either because one intends to surrender it to the authorities of because he is awaiting permission to read it. For the penalties confer 433, 440. 423. – Penalties are either latae sententiae (l.s.) or ferrendae sententiae (f.s. ), according as they are insurred ipso facto by the commission of an offense, or must be inflicted bt the judge (C. 2217). A censure l.s. may be said to be imposed by anticipatory sentence; a censure f.s., by condemnatory sentence. 433. – Those who publish, defend, or who knowlingly read or retain without the requisite permission books of apostates, heretics or schismatics, or books nominally proscribed by Apostolic Letters, provided such books have actually been published (C. 2318). By “books” in this connection we understand publications of (approximately) 160 pages in octavo. Small pamplets and tracts are indeed forbidden (Cf. 401) but not under excommunication. – The concept of apostasy, etc., implies that one is a Christian; pagans and Jews are, therefore, not included. – A book is not written in defence of error if it merely contains some erroneous statements; more than that is required, namely, there must be an attempt to convince the reader by some manner of proof. It is sufficient, however, if one individual proposition is defended, even though the subject matter of the book is otherwise not of a religious character. – An Apostolic Letter is some writing of the Holy Father himself; thus books forbidden only by some decree of a Congregation are not thereby proscribed under excommunication. – The publisher incurs the penalty only after the book is rendered accessible to the public. – The printer is not excommunicated, neither is the linotypist. – A book is “defnded” by him who praises its contents and undertakes to uphold it, declares it to be opportune or who preserves the book from destruction; but not one who merely praises the style of the author. – He is excommunicated by “reading” who reads a sufficient amount to constitute a mortal sin (Cf. 403). The same obtains for “retaining” a book. A book is said to appear when it becomes accessible to the public. Proof readers are not excommunicated. – Since the reading and retaining must be done “knowlingly”, minors are exempt from the excommunication in case it is not certain whether they are in full possession of their mental faculties (Cf. 425). by Rev. Heribert Jone, O.F.M. CAP., J.C.D., by Rev. Urban Adelman, O.F.M. CAP., J.C.D. Of all the official duties which We are bound most carefully and most diligently to fulfil in this supreme position of the apostolate, the chief and principal duty is to watch assiduously and earnestly to strive that the integrity of Christian faith and morals may suffer no diminution. And this, more than at any other time, is especially necessary in these days, when men’s minds and characters are so unrestrained that almost every doctrine which Jesus Christ, the Saviour of mankind, has committed to the custody of His Church, for the welfare of the human race, is daily called into question and doubt. In this warfare, many and varied are the stratagems and hurtful devices of the enemy; but most perilous of all is the uncurbed freedom of writing and publishing noxious literature. Nothing can be conceived more pernicious, more apt to defile souls, through its contempt of religion, and its manifold allurements to sin. Wherefore the Church, who is the custodian and vindicator of the integrity of faith and morals, fearful of so great an evil, has from an early date realized that remedies must be applied against this plague; and for this reason she has ever striven, as far as lay in her power, to restrain men from the reading of bad books, as fram a deadly poison. The early days of the Church were witnesses to the earnest zeal of St. Paul in this respect; and every subsequent age has witnessed the vigilance of the Fathers, the commands of the bishops, and the decrees of Councils in a similar direction. Historical documents bear special witness to the care and diligence with which the Roman Pontiffs have vigilantly endeavored to prevent the unchecked spread of heretical writings detrimental to the pubUc. History is full of examples. Anastasius I solemnly condemned the more dangerous writings of Origen, Innocent I those of Pelagius, Leo the Great all the works of the Manicheans. The decretal letters, opportunely issued by Gelasius, concerning books to be received and rejected, are well known. And so, in the course of centuries, the Holy See condemned the pestilent writings of the Monothelites, of Abelard, Marsilius Patavinus, Wycliff, and Huss. In the fifteenth century, after the invention of the art of printing, not only were bad publications which had already appeared condemned, but precautions began to be taken against the pubhcation of similar works in the future. These prudent measures were called for by no slight cause, but rather by the need of protecting the public morals and welfare at the time; for too many had rapidly perverted into a mighty engine of destruction an art excellent in itself, productive of immense advantages, and naturally destined for the advancement of Christian culture. Owing to the rapid process of publication, the great evil of bad books had been multiplied and accelerated. Wherefore Our predecessors, Alexander VI. and Leo X., most wisely promulgated certain definite laws, well suited to the character of the times, in order to restrain printers and pubUshers within the limits of their duty. The tempest soon became more violent, and it was necessary to check the contagion of heresy with still more vigilance and severity. Hence Leo X, and afterwards Clement VII, severely prohibited the reading or retaining of the books of Luther. But as, owing to the unhappy circumstances of that epoch, the foul flood of pernicious books had increased beyond measure and spread in all directions, there appeared to be need of a more complete and efficacious remedy. This remedy Our predecessor, Paul IV, was the first to employ, by opportunely publishing a list of books and other writings against which the faithful should be warned. A little later the Council of Trent took steps to restrain the ever-growing license of writing and reading by a new measure. At its command and desire, certain chosen prelates and theologians not only applied themselves to increasing and perfecting the Index which Paul IV had published, but also drew up certain rules to be observed in the publishing, reading, and use of books; to which rules Pius IV, added the sanction of his apostolic authority. The interests of the pubhc welfare, which had given rise to the Tridentine Rules, necessitated in the course of time certain alterations. For which reason the Roman Pontiffs, especially Clement VIII, Alexander VII, and Benedict XIV, mindful of the circumstances of the period and the dictates of prudence, issued several decrees calculated to elucidate these rules and to accommodate them to the times. The above facts clearly prove that the chief care of the Roman Pontiffs has always been to protect civil society from erroneous behefs and corrupt morals, the twin causes of the decline and ruin of States, which commonly owes its origin and its progress to bad books. Their labors were not unfruitful, so long as the divine law regulated the commands and prohibitions of civil government, and the rulers of States acted in unison with, the ecclesiastical authority. Every one is aware of the subsequent course of events. As circumstances and men’s minds gradually altered, the Church, with her wonted prudence, observing the character of the period, took those steps which appeared most expedient and best calculated to promote the salvation of men. Several prescriptions of the rules of the Index, which appeared to have lost their original opportuneness, she either abolished by decree, or, with equal gentleness and wisdom, permitted them to grow obsolete. In recent times, Pius IX, in a letter to the archbishops and bishops of the States of the Church, considerably mitigated Rule X Moreover, on the eve of the Vatican Council, he instructed the learned men of the preparatory commission to examine and revise all the rules of the Index, and to advise how they should be dealt with. They unanimously decided that the rules required alteration; and several of the Fathers of the Council openly professed their agreement with this opinion and desire. A letter of the French bishops exists urging the necessity of immediate action in “repubhshing the rules and the whole scheme of the Index in an entirely new form, better suited to our times and easier to observe.” A similar opinion was expressed at the same time by the bishops of Germany, who definitely petitioned that “the rules of the Index might be submitted to a fresh revision and a rearrangement.” With these bishops many bishops of Italy and other countries have agreed. Taking into account the circumstances of our times, the conditions of society, and popular customs, all these requests are certainly justified and in accordance with the maternal affection of Holy Church. In the rapid race of intellect, there is no field of knowledge in which literature has not run riot, hence the daily inundation of most pernicious books. Worst of all, the civil laws not only connive at this serious evil but allow it the widest license. Thus, on the one hand, many minds are in a state of anxiety; whilst, on the other, there is unlimited opportunity for every kind of reading. Believing that some remedy ought to be applied to these evils, We have thought well to take two steps which will supply a certain and clear rule of action in this matter. First, to diligently revise the Index of books forbidden to be read; and We have ordered this revised edition to be published when complete. Secondly, We have turned Our attention to the rules themselves, and have determined, without altering their nature, to make them somewhat milder, so that it cannot be difficult or irksome for any person of good-will to obey them. In this we have not only followed the example of Our predecessors, but imitated the maternal affection of the Church, who desires nothing more earnestly than to show herself indulgent, and, in the present, as in the past, ever cares for her children in such a manner as gently and lovingly to have regard to their weakness. Wherefore, after mature deliberation, and having consulted the Cardinals of the Sacred Congregation of the Index, We have decided to issue the following General Decrees appended to this Constitution, and the aforesaid Sacred Congregation shall, in the future, follow these exclusively, and all Catholics throughout the world shall strictly obey them. We will that they alone shall have the force of law, abrogating the rules published by order of the Sacred Council of Trent, and the Observations, Instructions, Decrees, Monita, and all other statutes and commands whatsoever of Our predecessors, with the sole exception of the Constitution Sollicita et provida of Benedict XIV., which We will to retain in the future the full force which it has hitherto had. Of the Prohibition of Books. 1. All books condemned before the year 1600 by the Sovereign Pontiffs, or by Ecumenical Councils, and which are not recorded in the new Index, must be considered as condemned in the same manner as formerly, with the exception of such as are permitted by the present General Decrees. 2. The books of apostates, heretics, schismatics, and all writers whatsoever, defending heresy or schism, or in any way attacking the foundations of religion, are altogether prohibited. 4. The books of the above-mentioned writers, not treating ex professo of religion, but only touching incidentally upon the truths of faith, are not to be considered as prohibited by ecclesiastical law, unless proscribed by special decree. 5. Editions of the original text and of the ancient Catholic versions of Holy Scripture, as well as those of the Eastern Church, if published by non-Catholics, even though apparently edited in a faithful and complete manner, are allowed only to those engaged in theological and biblical studies, provided also that the dogmas of Catholic faith are not impugned in the prolegomena or annotations. 6. In the same manner, and under the same conditions, other versions of the Holy Bible, whether in Latin or in any other dead language, published by non-Catholics, are permitted. Of Vernacular Versions of Holy Scripture. 7. As it has been clearly shown by experience that, if the Holy Bible in the vernacular is generally permitted without any distinction, more harm than utility is thereby caused, owing to human temerity: all versions in the vernacular, even by Catholics, are altogether prohibited, unless approved by the Holy See, or published, under the vigilant care of the bishops, with annotations taken from the Fathers of the Church and learned Catholic writers. 8. All versions of the Holy Bible, in any vernacular language, made by non-Catholics are prohibited; and especially those published by the Bible societies, which have been more than once condemned by the Roman Pontiffs, because in them the wise laws of the Church concerning the publication of the sacred books are entirely disregarded. Nevertheless, these versions are permitted to students of theological or biblical science, under the conditions laid down above (No. 5). 9. Books which professedly treat of, narrate, or teach lewd or obscene subjects are entirely prohibited, since care must be taken not only of faith but also of morals, which are easily corrupted by the reading of such books. 10. The books of classical authors, whether ancient or modem, if disfigured with the same stain of indecency, are, on account of the elegance and beauty of their diction, permitted only to those who are justified on account of their duty or the function of teaching; but on no account may they be placed in the hands of, or taught to, boys or youths, unless carefully expurgated. Of Certain Special Kinds of Books. 11. Those books are condemned which are derogatory to Almighty God, or to the Blessed Virgin Mary, or the Saints, or to the Catholic Church and her worship, or to the sacraments, or to the Holy See. To the same condemnation are subject those works in which the idea of the inspiration of Holy Scripture is perverted, or its extension too narrowly limited. Those books, moreover, are prohibited which professedly revile the ecclesiastical hierarchy, or the clerical or religious state. 12. It is forbidden to publish, read, or keep books in which sorcery, divination, magic, the evocation of spirits, and other superstitions of this kind are taught or commended. 13. Books or other writings which narrate new apparitions, revelations, visions, prophecies, miracles, or which introduce new devotions, even under the pretext of being private ones, if published without the legitimate permission of ecclesiastical superiors, are prohibited. 14. Those books, moreover, are prohibited which defend as lawful, duelling, suicide, or divorce; which treat of Freemasonry, or other societies of the kind, teaching them to be useful, and not injurious to the Church and to Society; and those which defend errors proscribed by the Apostolic See. Of Sacred Pictures and Indulgences. 15. Pictures, in any style of printing, of Our Lord Jesus Christ, the Blessed Virgin Mary, the angels and saints, or other servants of God, which are not conformable to the sense and decrees of the Church, are entirely forbidden. New pictures, whether produced with or without prayers annexed, may not be published without permission of ecclesiastical authority. 16. It is forbidden to all to give publicity in any way to apocryphal indulgences, and such as have been proscribed or revoked by the Apostolic See. Those which have already been published must be withdrawn from the hands of the faithful. 17. No books of indulgences, or compendiums, pamphlets, leaflets, etc., containing grants of indulgences, maybe published without permission of competent authority. Of Liturgical Books and Prayer Books. 18. In authentic editions of the Missal, Breviary, Ritual, Ceremonial of Bishops, Roman Pontifical, and other liturgical books approved by the holy Apostolic See, no one shall presume to make any change whatsoever; otherwise such new editions are prohibited. 19. No litanies – except the ancient and common litanies contained in the breviaries, missals, pontificals, and rituals, as well as the Litany of Loretto, and the Litany of the Most Holy Name of Jesus already approved by the Holy See – may be published without the examination and approbation of the ordinary. 20. No one, without license of legitimate authority, may publish books or pamphlets of prayers, devotions, or of religious, moral, ascetic, or mystic doctrine and instruction, or others of like nature, even though apparently conducive to the fostering of piety among Christian people; otherwise they are to be considered as prohibited. 21. Newspapers and periodicals which designedly attack religion or morality are to be held as prohibited not only by the natural but also by the ecclesiastical law. Ordinaries shall take care, whenever it be necessary, that the faithful shall be warned against the danger and injury of reading of this kind. 22. No Catholics, particularly ecclesiastics, shall publish anything in newspapers or periodicals of this character, unless for some just and reasonable cause. Of Permission to Read and Keep Prohibited Books. 23. Those only shall be allowed to read and keep books prohibited, either by special decrees or by these General Decrees, who shall have obtained the necessary permission, either from the Apostolic See or from its delegates. 24. The Roman Pontiffs have placed the power of granting licenses for the reading and keeping of prohibited books in the hands of the Sacred Congregation of the Index. Nevertheless the same power is enjoyed both by the Supreme Congregation of the Holy Office, and by the Sacred Congregation of Propaganda for the regions subject to its administration. For the city of Rome this power belongs also to the Master of the Sacred Apostolic Palace. 25. Bishops and other prelates with quasi-episcopal jurisdiction may grant such license for individual books, and in urgent cases only. But if they have obtained from the Apostolic See a general faculty to grant permission to the faithful to read and keep prohibited books, they must grant this only with discretion and for a just and reasonable cause. 26. Those who have obtained apostolic faculties to read and keep prohibited books may not on this account read and keep any books whatsoever or periodicals condemned by the local ordinaries, unless in the apostolic indult express permission be given to read and keep books by whomsoever prohibited. And those who have obtained permission to read prohibited books must remember that they are bound by grave precept to keep books of this kind in such a manner that they may not fall into the hands of others. Of the Denunciation of Bad Books. 27. Although all Cathohcs, especially the more learned, ought to denounce pernicious books either to the bishops or to the Holy See, this duty belongs more especially to apostolic nuncios and delegates, local ordinaries, and rectors of universities. 28. It is expedient, in denouncing bad books, that not only the title of the book be expressed, but also, as far as possible, the reasons be explained why the book is considered worthy of censure. Those to whom the denunciation is made will remember that it is their duty to keep secret the names of the denouncers. 29. Ordinaries, even as delegates of the Apostolic See, must be careful to prohibit evil books or other writings published or circulated in their dioceses, and to withdraw them from the hands of the faithful. Such works and writings should be referred by them to the judgment of the Apostolic See as appear to require a more careful examination, or concerning which a decision of the supreme authority may seem desirable in order to procure a more salutary effect. Of the Censorship op Books. Of the Prelates entrusted with the Censorship of Books. 30. From what has been laid down above (No. 7), it is sufficiently clear what persons have authority to approve or permit editions and translations of the Holy Bible. 31. No one shall venture to republish books condemned by the Apostolic See. If, for a grave and reasonable cause, any particular exception appears desirable in the respect, this can only be allowed on obtaining beforehand a license from the Sacred Congregation of the Index and observing the conditions prescribed by it. 32. Whatsoever pertains in any way to causes of beatification and canonization of the servants of God may not be published without the approval of the Congregation of Sacred Rites. 33. The same must be said of collections of decrees of the various Roman congregations: such collections may not be published without first obtaining the license of the authorities of each congregation, and observing the conditions by them prescribed. 34. Vicars apostolic and missionaries apostolic shall faithfully observe the decrees of the Sacred Congregation of Propaganda concerning the publication of books. 35. The approbation of books of which the censorship is not reserved by the present decrees either to the Holy See or to the Roman congregations belongs to the ordinary of the place where they are published. 36. Regulars must remember that, in addition to the license of the bishop, they are bound by a decree of the Sacred Council of Trent to obtain leave for publishing any work from their own superior. Both permissions must be printed either at the beginning or at the end of the book. 37. If an author, living in Rome, desires to print a book, not in the city of Rome but elsewhere, no other approbation is required beyond that of the Cardinal Vicar and the Master of the Apostolic Palace. Of the Duty of Censors in the Preliminary Examination of Books. 38. Bishops whose duty it is to grant permission for the printing of books shall take care to employ in the examination of them men of acknowledged piety and learning, concerning whose faith and honesty they may feel sure that they will show neither favor nor ill-will, but, putting aside all human affections, will look only to the glory of God and the welfare of the people. 39. Censors must understand that, in the matter of various opinions and systems, they are bound to judge with a mind free from all prejudice, according to the precept of Benedict XIV. Therefore they should put away all attachment to their particular country, family, school, or institute, and lay aside all partisan spirit. They must keep before their eyes nothing but the dogmas of Holy Church, and the common Catholic doctrine as contained in the decrees of General Councils, the Constitutions of the Roman Pontiffs, and the unanimous teaching of the Doctors of the Church. 40. If, after this examination, no objection appears to the publication of the book, the ordinary shall grant to the author, in writing and without any fee whatsoever, a license to publish, which shall be printed either at the beginning or at the end of the work. Of the Books to be Submitted to Censorship. 41. All the faithful are bound to submit to preliminary ecclesiastical censorship at least those books which treat of Holy Scripture, sacred theology, ecclesiastical history, canon law, natural theology, ethics, and other religious or moral subjects of this character; and in general all writings specially concerned with religion and morality. 42. The secular clergy, in order to give an example of respect towards their ordinaries, ought not to publish books, even when treating of merely natural arts and sciences, without their knowledge. They are also prohibited from undertaking the management of newspapers or periodicals without the previous permission of their ordinaries. Of Printers and Publishers of Books. 43. No book liable to ecclesiastical censorship may be printed unless it bear at the beginning the name and surname of both the author and the publisher, together with the place and year of printing and publishing. If in any particular case, owing to a just reason, it appears desirable to suppress the name of the author, this may be permitted by the ordinary. 44. Printers and publishers should remember that new editions of an approved work require a new approbation; and that an approbation granted to the original text does not suffice for a translation into another language. 45. Books condemned by the Apostolic See are to be considered as prohibited all over the world, and into whatever language they may be translated. 46. Booksellers, especially Catholics, should neither sell, lend, nor keep books professedly treating of obscene subjects. They should not keep for sale other prohibited books, unless they have obtained leave through the ordinary from the Sacred Congregation of the Index; nor sell such books to any person whom they do not prudently judge to have the right to buy them. Of Penalties Against Transgressors of the General Decreet. 47. All and every one knowingly reading, without authority of the Holy See, the books of apostates and heretics defending heresy; or books of any author which are by name prohibited by Apostolic Letters; also those keeping, printing, and in any way defending such works; incur ipso facto excommunication reserved in a special manner to the Roman Pontiff. 48. Those who, without the approbation of the ordinary, print, or cause to be printed, books of Holy Scripture, or notes or commentaries on the same, incur ipso facto excommunication, but not reserved. 49. Those who transgress the other prescriptions of these General Decrees shall, according to the gravity of their offence, be seriously warned by the bishop, and, if it seem expedient, may also be punished by canonical penalties. We decree that these presents and whatsoever they contain shall at no time be questioned or impugned for any fault of subreption, or obreption, or of Our intention, or for any other defect whatsoever; but are and shall be ever valid and efficacious, and to be inviolably observed, both judicially and extra-judicially, by all of whatsoever rank and pre-eminence. And We declare to be invalid and of no avail, whatsoever may be attempted knowingly or unknowingly contrary to these, by any one, under any authority or pretext whatsoever; all to the contrary notwithstanding. And We will that the same authority be attributed to copies of these Letters, even if printed, provided they be signed by the hand of a notary, and confirmed by the seal of some one in ecclesiastical dignity, as to the indication of Our will by the exhibition of these presents. No man, therefore, may infringe or temerariously venture to contravene this document of Our constitution, ordination, limitation, derogation, and will. If any one shall so presume, let him know that he will incur the wrath of Almighty God, and of the blessed apostles Peter and Paul. 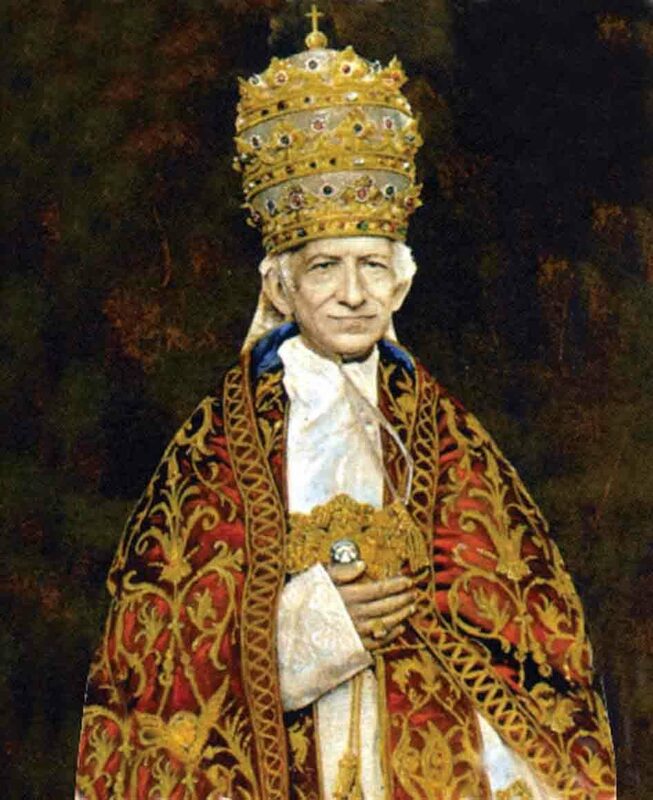 THE GREAT ENCYCLICAL LETTERS OF POPE LEO XIII. WITH PREFACE BY Rev. JOHN J. WYNNE, S.J. Benziger Brothers, Printed in the United States of America. Nihil Obstat. REMIGIUS LAFORT, S.T.L., Censor Librorum. New York, August 4, 1908. I libri di apostati, eretici, scismatici e degli scrittori di qualunque genere, che difendono l’eresia o lo scisma, o che in qualche modo attaccano le fondamenta della Religione, sono del tutto proibiti. È proibito pubblicare, leggere o conservare libri in cui siano insegnate o raccomandate la stregoneria, la divinazione, la magia, l’evocazione di spiriti e altre superstizioni di questo tipo. Libri o altri scritti che narrano nuove apparizioni, rivelazioni, visioni, profezie, miracoli o che introducono nuove devozioni, anche con il pretesto di essere privati, se pubblicati senza il permesso legittimo dei superiori ecclesiastici, sono proibiti. È vietato a tutti dare pubblicità in qualsiasi modo alle indulgenze apocrife, proscritte o revocate dalla Sede Apostolica. Quelle già pubblicate devono essere ritirate dalle mani dei fedeli. Nessun libro di indulgenze, o compendi, opuscoli, volantini, ecc., contenenti indulgenze, possono essere pubblicate senza il permesso dell’autorità competente. Nessuna litania – tranne le antiche e comuni litanie contenute nei breviari, messali, pontificali e rituali, come le Litanie di Loreto e le Litanie del Santissimo Nome di Gesù già approvate dalla Santa Sede – possono essere pubblicate senza l’esame e l’approvazione dell’ordinario. Nessuno, senza licenza di autorità legittima, può pubblicare libri o opuscoli di preghiere, devozioni o di dottrina e istruzione religiosa, di morale, ascetica o mistica, o altri di natura simile, anche se apparentemente favorevoli alla promozione della pietà tra i Cristiani; nel caso contrario devono essere considerati come proibiti. Giornali e periodici che attaccano intenzionalmente la Religione o la moralità devono essere considerati proibiti non solo dal diritto naturale, ma anche dalla legge ecclesiastica. Gli Ordinari si prenderanno cura, ogni volta che sarà necessario, che i fedeli siano messi in guardia dal pericolo e dal danno della lettura di questo tipo. Solo sarà consentito leggere e tenere i libri vietati, sia con decreti speciali sia con questi decreti generali, a coloro che avranno ottenuto il permesso necessario, sia dalla Sede Apostolica che dai suoi delegati.Coloro che hanno ottenuto facoltà apostoliche di leggere e tenere libri proibiti non possono leggere e conservare libri di qualsiasi genere o periodici condannati dagli ordinari locali, a meno che nell’indulto apostolico non venga concesso il permesso di leggere e conservare i libri proibiti da chiunque. E coloro che abbiano ottenuto il permesso di leggere libri proibiti devono ricordare che sono tenuti da un grave precetto a conservare libri di questo tipo in modo tale da non cadere nelle mani altrui. È opportuno, nel denunciare i libri cattivi, che non sia espresso solo il titolo del libro, ma anche, per quanto possibile, spiegate le ragioni per le quali il libro sia considerato degno di censura. Coloro ai quali viene fatta la denuncia ricorderanno che è loro dovere mantenere segreti i nomi dei denunzianti. Tutti i fedeli sono tenuti a sottoporre alla censura ecclesiastica preliminare almeno quei libri che trattano la Sacra Scrittura, la teologia sacra, la storia ecclesiastica, il diritto canonico, la teologia naturale, l’etica ed altri soggetti religiosi o morali di questo carattere; e in generale tutti gli scritti che riguardano specialmente la religione e la moralità. I censori dovrebbero essere presi sia dal clero secolare che da quello religioso; essi dovrebbero essere uomini di età matura, di comprovata cultura e prudenza, assumendosi il compito prezioso dell’approvazione o del rigetto delle dottrine. Il censore deve dare la sua opinione per iscritto; se è favorevole, l’Ordinario può consentire la pubblicazione del manoscritto; l’imprimatur del Vescovo è preceduto dall’opinione del censore sulla sua firma. Solo in casi straordinari e in rare circostanze può, secondo il giudizio del Vescovo, essere omesso il nome del censore. Il permesso dell’Ordinario con cui si concede la facoltà di pubblicare un manoscritto, deve essere dato per iscritto e deve essere stampato al principio o alla fine di un libro, di una rivista o di immagini, con il suo nome, la data ed il luogo della concessione. Facciamo la meditazione sulla morte. Anche questo è un tema fondamentale per un corso di Esercizi Spirituali. È un punto che obbliga a essere concreti, che impedisce le evasioni e non permette che si sostituisca la solida pietà e devozione con qualche facile e non costosa poesia. È una meditazione che non si può omettere. Voi sapete che la morte è ineluttabile, perché tutti a uno a uno ce ne andremo. Voi sapete che il punto essenziale della morte sta nel fatto che con essa termina la prova, cioè con essa termina la capacità di acquistare meriti. Nella vita eterna non si cambia più il nostro stato. Il merito cessa, rimane la fruizione di esso, il frutto nella pace, nel gaudio, nell’amore, nella vita eterna; ma si ferma per sempre la capacità di meritare, e pertanto cessa la capacità di aggiungere valore al nostro valore. È proprio questo « basta », che vien detto con la morte, ciò che dà l’incredibile serietà al passaggio dal tempo all’eternità. Ma per esercitarci quanto è possibile nella conversatio in cœlis, dobbiamo guardare l’argomento dall’alto. Che cosa si vede portandoci idealmente in cielo? Che cosa vediamo noi con lo sforzo di stare a quel livello, di ragionare con un criterio che non è di questo mondo, di dare alla nostra interiore veduta l’apertura che è propria del livello in cui c’è la libertà da questo mondo? Si vede anzitutto che si rovescia ogni cosa. L’importanza dell’argomento sta in questo: nel capire che ciò che a noi sembra abituale quaggiù è invece straordinario; capire che quel che ci sembra ordinario è invece l’eccezione; capire che ciò che a noi pare la vita non lo è. Rovesciare tutto. Che cosa accade al momento della morte? Noi lo possiamo descrivere a forza di negazioni: non abbiamo altra strada. Sì, sappiamo qualche cosa dalla divina Rivelazione, ma sappiamo poco. E allora dobbiamo procedere deduttivamente per altra strada. Sappiamo con certezza che al momento della morte l’anima si distacca dal corpo. Anzi fisicamente la morte consiste in questo: il corpo rimane abbandonato dall’anima che gli era stata sostanzialmente unita e, accaduto questo, il corpo comincia a dare la prova vera di sé stesso, di che cosa sia e di che cosa valga da solo. Gli uomini se ne liberano al più presto possibile andandolo a cacciare sotto terra; cercano di dimenticare, livellano tutto, è come quando il mare si apre per accogliere un oggetto e subito si richiude, e la sua superficie ridiventa liscia come se nulla fosse accaduto. L’anima rimane separata dal corpo. Procedendo per deduzione, si possono capire alcune cose. Che cosa succede della nostra intelligenza? L’intelligenza, fino al momento della morte, come dote e potenza dell’anima semplice e spirituale, era legata al corpo nel suo operare. Infatti la nostra intelligenza non può agire se non in quanto ad essa si presta, docile e normale strumento, il corpo coi suoi organi. Quaggiù noi non possiamo intendere e neppure ragionare, sia pure nella forma più astratta, se non per « conversionem ad sensibilia ». Dove questo manca, non è possibile nulla. Quando l’organo cerebrale è alterato, queste alterazioni hanno le loro ripercussioni anche sull’anima, la quale sragiona. Dunque l’anima, fino a quel momento, nella sua operazione, non nel suo essere, è legata al corpo. Ma al momento della morte l’angolo visuale della intelligenza dell’uomo si trova non più in cantina, esposta alla poca luce che viene dalla feritoia e che dà su un’intercapedine; rimane in campo aperto, e non splende il nostro sole, ma Dio. Non splende al modo materiale, ma con lo splendore della intelligenza e delle cose spirituali, delle quali noi abbiamo una conoscenza solo relativa e non ancora il contatto e l’esperienza diretta, monda da ogni necessità di collegamento con il fantasma. Da un angolo di apertura di un infinitesimo di grado noi arriviamo all’apertura di 360 gradi, e mentre normalmente 360 gradi stanno in un piano solo, in quel momento lo saranno in tutte le dimensioni. Ecco che cosa accade al momento della morte, quando l’anima si distacca dal corpo. Ora tutto il mondo presente è presente a me in quanto la sua immagine viene portata a me dalle potenze materiali attraverso fantasmi. L’unico legame che io ho con questo mondo, il vero legame è l’accidens quantitatis, che consiste nel fatto di essere esteso, il che permette il combaciamento fra me, che materialmente sono esteso, e la superfìcie del corpo ambiente. Se potessi sottrarre a me stesso l’accidens quantitatis, perderei ogni contatto col mondo che mi ospita. Pare strano, ma è così. Allora, al momento della morte, cessando di disporre dell’ accidens quantitatis, poiché abbandono la materia a cui sono legato, io perdo ogni e qualsiasi ragione di contatto con questo mondo e perdo anche lo strumento col quale questo contatto avviene. E il mondo cessa per me. E’ la solitudine infinita! Allora c’è uno solo che riemerge nell’infinita ed eterna maestà dell’Essere, Iddio. La solitudine infinita nostra davanti al Creatore! Cessa tutto, tutto si dissolve come nebbia al sole. Io vi prego di osservare che il nostro sentimento, cioè quella vibrazione che segue la cognizione tanto materiale che fisica e spirituale e che riempie tutto, rimpolpa tutto, imbottisce tutto, rende vivido e caldo tutto, è tre quarti della nostra vita, perché agisce spontaneamente e agisce sempre e rimane vigile anche quando l’intelligenza si assopisce o si fa inerte. Vi sono infiniti stati nei quali l’uomo sente e non pensa. Tutto questo sentimento, che ha riempito l’esistenza, di colpo viene a cessare, venendo a cessare per l’uomo lo strumento e la ragione per cui il sentimento esisteva ed era possibile perché determinato dalle cose sensibili. L’uomo perde l’esperienza della sua vita e si trova davanti a Dio. Il tempo, quel tempo che non può essere espresso con nessuna delle tante formule matematiche, non è affatto di pertinenza dell’accidens quantitatis: la misurazione e la concezione del tempo appartiene esclusivamente all’ontologia. Il tempo cioè non è altro che la creatura mutante e non la mutazione, perché la mutazione è già un’astrazione. Dove non ci sono più cose che mutano, il tempo non esiste: dove ci sono cose la cui mutazione è di natura assolutamente differente dalla mutazione delle cose materiali e fisiche alle quali siamo legati nel nostro cosmo, il tempo esisterà perché di eterno c’è soltanto Iddio. Ma sarà un’altra cosa. – Applicando questi concetti alla nostra conversatio in cœlis, contemplando la morte di lassù, si vede il rovesciamento di tutto. Si vede che noi qui siamo fuori intelletto, siamo fuori della vera vita. Si capisce che questa vita è l’anormale, mentre l’altra è la normale, che questa è lo straordinario e quella l’ordinario. Si rovescia tutto. A questo punto si prende la forza di guardare con cipiglio fiero a questo mondo, perché dobbiamo convincerci che questo mondo vale poco. Andatelo a chiedere a chi è in punto di morte e ve lo dirà. Di lassù si vede che se questo mondo può valere qualche cosa, vale perché noi, prendendo il mondo solo strumentalmente, e cioè mai per sé stesso, ci facciamo dei meriti che rimarranno in eterno. Ecco l’unica ragione per cui il mondo vale. Non crediate però che io voglia dire male di quanto ha creato Dio. Ho voluto semplicemente dire che noi ora siamo nella posizione delle mosche che credono di essere, loro, a posto, aggrappate al soffitto, e si meravigliano di noi che invece siamo nella posizione giusta a terra. Ho voluto dire questo e non esprimo il minimo disprezzo. Le vedete le mura di questa chiesa? Quando ce ne andremo, noi non le vedremo più come le vediamo ora, ma in un altro modo: per tutta l’eternità, per voi specialmente che in questa chiesa passate la parte più nobile della vostra vita, queste mura formano un ambiente legato alla ragione della vostra vita e al calore che porterete nelle vostre azioni e nel vostro apostolato, diventano una concausa del merito eterno che voi state accumulando. In Dio queste mura le vedrete sempre, le rivedrete per tutta l’eternità con una visione rispetto alla quale la materia sarà translucida e non costituirà più impedimento. Le vedrete perché rimarranno sempre legate al vostro merito eterno, nel quale e per il quale vivrete per tutti i secoli dei secoli. Ecco per che cosa vale il mondo: per una cosa sola, perché è concausa della nostra prova, è strumento della nostra prova. Ecco come la morte ci rivela che questo mondo, oltre un certo limite, non va preso troppo sul serio. Basta che noi ci sforziamo con questa nostra povera intelligenza, aiutati dalla rivelazione divina e deduttivamente, a spostarci oltre il limite nel quale sta materialmente la nostra vita presente, perché noi riusciamo a comprendere molte cose di quello che sarà, e pertanto la valutazione meno inesatta di quello che è. Sia questo il frutto della meditazione sulla morte. – La morte fa giustizia al nostro corpo, il quale si disferà, e questa sarà la giustizia per la nostra superbia. Abbiamo fatto molto conto del nostro corpo, forse qualche volta ne abbiamo fatto troppo. E questo corpo si dissolverà, ritornerà in braccio alla natura che ce lo aveva dato e alimentato. E un giorno Iddio sarà obbligato ad andarlo a mettere insieme, raccogliendo dalle quattro parti del mondo quello che era stato il nostro corpo, attraverso tutte le possibili e immaginabili trasformazioni dei secoli. E questa sarà la giustizia per tutte le nostre sensualità. Tutto si comporrà nella pace, se noi guarderemo alla morte di lassù. Tutto ritroveremo in Dio; tutto quaggiù ha un valore solo, il valore di strumento della vita eterna. Il resto è tutto vuoto, illusione, inganno. Guardate fino a che punto prevalgono le ragioni spirituali e soprannaturali in questo mondo. E poi dicono che la Chiesa si può ritirare da parte!